All This at 3000 Shattuck Avenue and Honda Too! BNC publishes articles in this Section that are written either by a neighborhood representative without editing or is summarized from material which has been submitted to us. BNC received an email on July 1, 2018 about what happened at the Zoning Adjustments Board (ZAB) meeting of June 28, 2018 regarding the proposed development at 3000 Shattuck Avenue, but before we get into that, let’s start with a little background. 3000 Shattuck Avenue is on the southwest corner, Ashby and Shattuck intersection, 4 blocks from the Ashby BART Station. This proposed 5-story building, with 23 housing units and ground floor commercial retail, would replace an existing gas station. The applicant is Michael Cooney of Naples, Florida, represented in this matter by a person well-known to us, Mark Rhoades, who was formerly a highly-placed staff member in Berkeley’s Planning Department and who since that time, has represented many, if not most, of the applicants seeking to develop housing in our city. According to the application, the proposed housing units would be a “Co-housing Model,” i.e., 18 of the 23 housing units would have private bedrooms but shared living rooms, kitchens and bathrooms. There would be: six, 3-bedroom units; five, 4- bedroom units; six, five-bedroom units; and one, 6-bedroom unit. A roof deck and central courtyard was offered as open space. In contrast, a self-described YIMBY (Yes-In-My-Back-Yard) commented, “There is no such thing as a ‘bad’ building. No housing is perfect. We need it. Let’s build it.” But more on that later. Although, this is not a victory for affordable housing (or any housing for that matter), it might be a sign that ZAB is starting to do its job, namely looking critically at building proposals, setting sensible standards based on the community needs, and standing up to developers who want to ignore those needs: build, sell, take profit, walk away and let the community deal with the aftermath. A mere month ago, ZAB was poised to approve this project. Tonight, during public discussion, there seemed to be a change in the Board’s reaction and questions. It is likely that our South Berkeley residents played an important role in this awakening. For one, Damon Todd was the first to raise the question of how deliveries & pickups were to be handled at 3000 Shattuck without any provision or space for loading zones. After meeting with the developer agent, Mark Rhoades, and taking measurements of the site, we verified that there was indeed only 28 feet of possible space pending approval of traffic engineering (Greg Powell, city planner was quoted” no available space” for a loading zone on Shattuck however). Tonight, during public comment, Janis Ching delivered a brilliantly vivid picture of scenarios of double parking and gridlock on the two-lane section of Shattuck at Ashby that laid bare a major flaw of the proposal. More public commentary called for on-site affordable units, criticized the developer for a floor plan redesign that reduced the in-lieu fees to the Affordable Housing Trust Fund (AHTF) by almost half, and questioned the scope and quality of the structure. After public comment, the Board discussion was revealing. ZAB members questioned the premises of the living arrangements. Rhoades said it was affordable by design given the 5 and 6 bedroom units and that each unit was a household (His in-lieu fees were based on that concept). On the other hand, the proposed property management group, www.common.com described the living arrangements as “co-living” and “private rooms & shared spaces,” which would mandate an entirely different in-lieu fee structure. The contradiction appeared to be an attempt by Rhoades to avoid in-lieu fees to the City. There was no thought given to the services needed for the 80+ residences in terms of pickups & deliveries (passengers, mail, packages, or moving vans). No loading zones were planned or appear to be viable for the two-lane Shattuck. Even if the owners could recruit renters, there is no legal way the tenants could move in or out without a place to load/unload. There is no built-in provision or planning for janitorial services of the hallways & stairways, raising the specter of either very expensive maintenance or no maintenance at all. There is no adequate plan for residents to dispose of their trash. They were expected to carry their trash down the hallway to the elevator (or worse, stairwell), down into and through the public reception area, into the garage to the dumpster. A method used in the public housing projects of the 1950’s in Chicago, Detroit & San Francisco and look where that ended up. The turning point of the meeting was before the 3000 Shattuck discussion. It was about the Honda Motors dealership at 2777 Shattuck that was approved by ZAB and completed March of this year that has been plagued by problems all during its construction and since it has opened its doors to the public. Discussion started with a report from the Planning Department (PD) staff. The PD staff member described the occupant as “essentially in compliance” and that “All issues are substantially resolved.” The report concluded that “We haven’t had any more complaints [from the neighbors] in over two weeks.” The subsequent heated commentary from Honda neighbors described a totally different picture citing ongoing noise, traffic violations, and dangerous pedestrian situations, which put in question the credibility of the PD. The discussion revealed some very disturbing conclusions: The PD is not doing its job, which is to provide support to the Board in matters that come before it (leaving us to wonder if it is incompetence, laziness, corruption, industry bias, understaffing & overwork or a combination). In the two projects that came up tonight (Honda Motors & 3000 Shattuck), the PD presented ZAB with a recommendation to “Approve” without any meaningful analysis, direction, caveats or options (!). The results are simply bad decisions from ZAB. 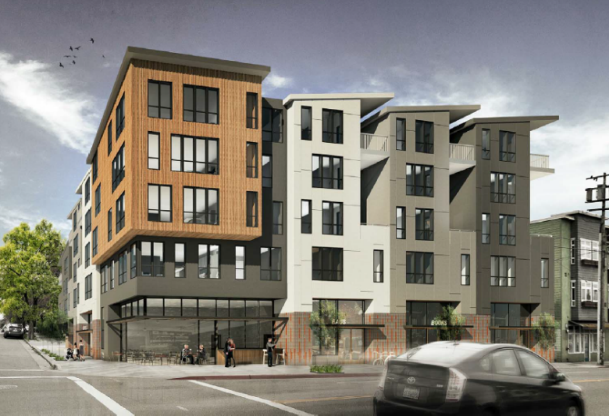 In the case of Honda, the consequence was an approval of a project that did not have adequate ventilation, garage entrances, outside lighting shading, and other issues that has disrupted the neighbors’ lives & Shattuck traffic in major ways. And when the staff response was “all problems are solved”, the Board reaction was severe. Lauriston commented afterward, “I’ve lost count of how many ZAB meetings I’ve been to and I’ve never before seen them push back so hard on staff as they did about Berkeley Honda, or discuss revoking a permit…” The reaction from the Board was indeed strong, which perhaps set the stage for the next discussion, namely 3000 Shattuck. The fact is the PD has had the 3000 Shattuck plans before it on and off for almost 3 years without its noticing or alerting the Board to the problems & inadequacies. It was Berkeley South residents that brought out the issues and if the PD had done its job professionally and competently, the countless hours of wasted time spent by ZAB members and members of the community might have been avoided. In other words, if the PD staff had done its job, we might have had a viable housing solution to 3000 Shattuck today. Conversely, if we as Berkeley South had not become actively involved we might have had another Honda-like fiasco at 3000 Shattuck, which illustrates the importance of community involvement and input in planning intelligent and sustainable solutions. Contrast that to the YIMBY role that cheers “YES!” to everything developers propose. It is an understandable reaction to the past mantra of “No to anything” with “Yes to everything”, which might feel good now but leads to a whole new set of problems later, as we have seen. Isn’t it obvious that the YIMBY role actually defeats its stated goal of more housing by enabling the dysfunction of a rubber stamp permitting process to create defective, unsustainable, problematic housing that cannot last on the market? A more constructive role would be to join us in the critical review of all proposed projects, so that the most intelligent, efficient and affordable result can be attained in a timely fashion. It is not enough to defeat a bad building. As a neighborhood we need to be an advocate for good buildings that are quality, sustainable, affordable, and are an asset to the community. We need another steering committee meeting to map a plan of action and advocacy for new housing in our community. The next installment will call for that meeting with a proposed action agenda. Thank you to all who have contributed to this discussion. Note: Your responses to this piece will be published through Berkeley South at your request in the interest of public discourse. Note: Please forward this message to anyone who you think might be interested. Also, you are receiving this message because either you signed up on a mailing list or you copied our email on your correspondence to City representatives. To unsubscribe, please reply with STOP in the subject line. The above requests are from the Neighborhood. BNC would also like to hear from you regarding this article. Please respond at our website: Berkeley Neighborhoods Council by clicking on “Comments” under the “Submissions” button.